My lovely wife picked us up a Xbox 360 Kinect yesterday and I hooked it up this evening. 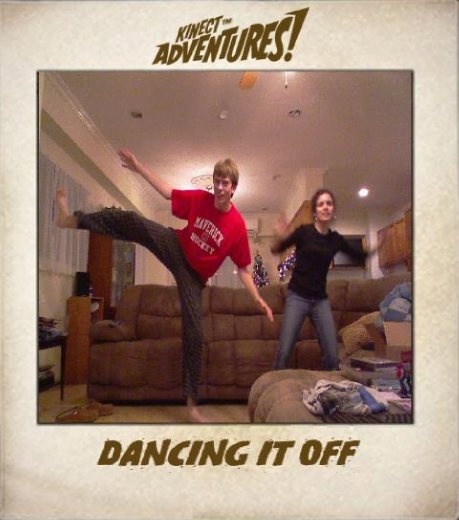 The Kinect is a "controller-free gaming and entertainment experience" where you are the controller. There is a sensor that sits below the tv that watches your movements and can even follow your commands by saying for example "Kinect... Play Game." Picture Star Trek where they tell the computer what to do. The Kinect can even recognize you and login your avatar for you! 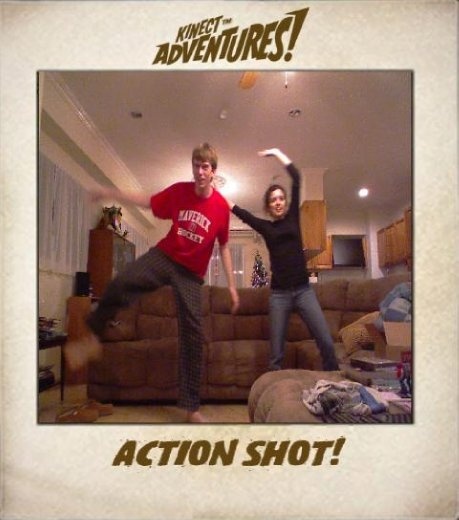 As you can see from the pictures in the post and the picture gallery we are having a blast playing the game, Kinect Adventures, that came with the Kinect. We also have Your Shape coming in the mail and should be here after the first of the year. We discovered in the hour we played the game that you can work up quite a sweat from playing. We look forward to getting a few more hours of game time in tomorrow. Come visit us and try out the Kinect!